Joan Pearson as part of the projection team at the A.B.C. Bristol cinema, Birmingham (1962). Although women had provided a vital service during the Second World War, it was once again expected that they would return to their front-of-house roles once the conflict had ended. 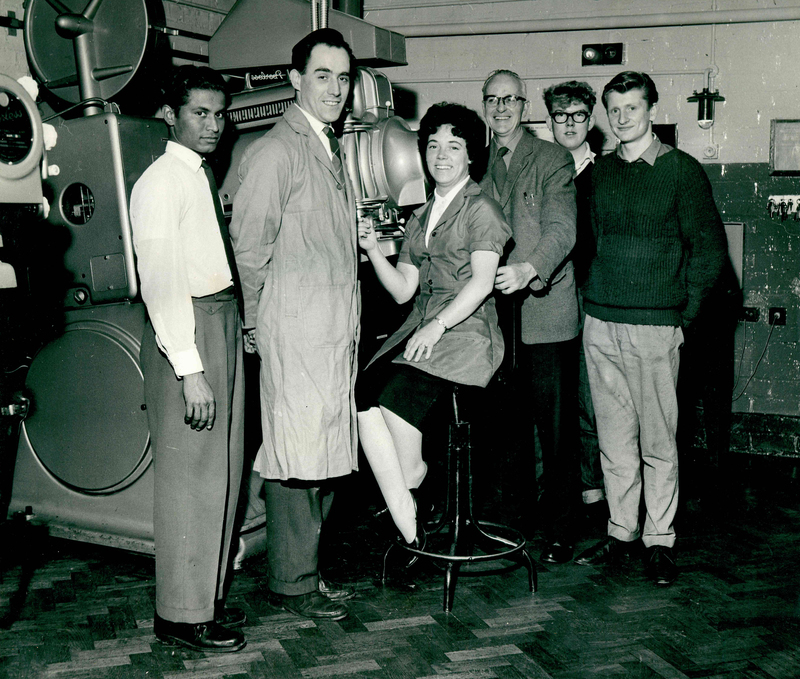 As R. Howard Cricks noted in the 1949 edition of The Complete Projectionist, 'although there is no specific ban' upon women projectionists, 'women newcomers are not likely to be welcomed in the projection room'. Although this view was common, this did not stop a number of women remaining in the job after the war, or, indeed, becoming projectionists in peacetime. Perhaps unsurprisingly, this was met with some resistance. This was particualrly the case if the woman projectionist had ambitions to become a senior member of the projection team. In the audio extract to the left, Florence Barton descibes her promotion to Chief projectionist in the Scala cinema, Coventry. Barton also faced difficulties working with men who were unable to accept her superiority. When working at a cinema in Leicester, her male colleagues attempted to have her fired through an act of sabotage, an even tthat she recounts in this audio extract. Not all women had such difficulties. Although never becoming Chief herself, Joan Pearson was promoted a number of times and was quickly integrated into the various projection teams with which she worked. Below is a letter acknowledging her promotion to Co-second projectionist at the A.B.C. Bristol cinema, Birmingham in 1961. 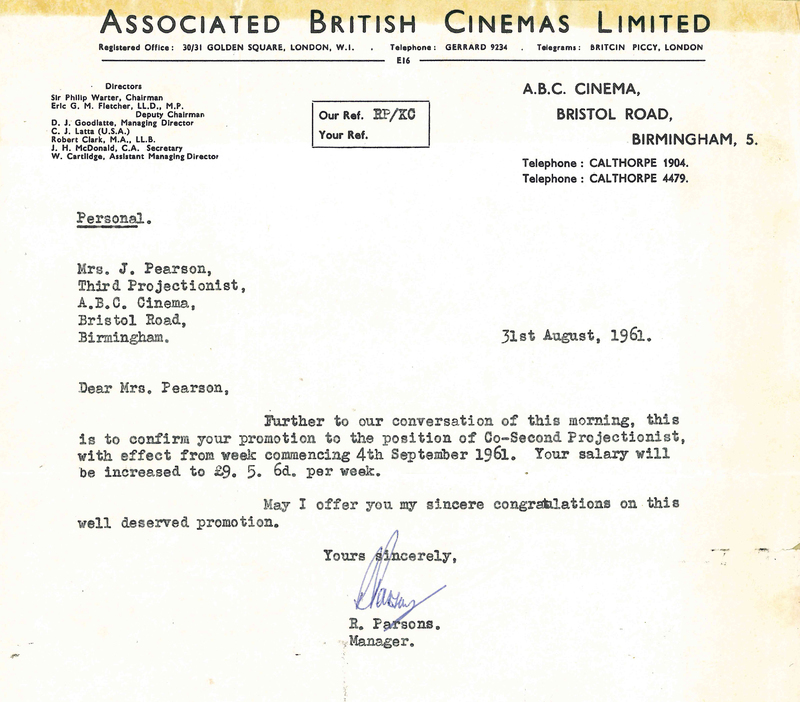 Letter acknowledging Joan Pearson's promotion to Co-second projectionist.